★ World leaders are criticizing President Donald Trump's announcement that the United States will recognize Israeli sovereignty over the Golan Heights, reports the VOA. Turkish President Recep Tayyip Erdoğan said Trump's announcement has brought the region "to the brink of a new crisis and new tensions." ★ Turkish prosecutors in Ankara ordered on Friday the detention of 18 former employees of military software company Havelsan over links to Gülen movement, Duvar news site reported. Of the 126 suspects, 108 were lawyers on active duty, eight were judge or prosecutor candidates who were previously removed from their positions and one was a judge or prosecutor candidate on active duty, Reuters quoted the prosecutor's office as saying. The Turkish authorities in December detained nearly 50 people working for critical defense projects over alleged links to the Gülen movement. The detainees reportedly included 25 engineers working for Aselsan, Turkey's largest defense contractor, and 17 officials from Turkish Aerospace Industries, Havelsan, the Undersecretariat of Defense Industries, and the Turkish Scientific Research Institute. ★ The Foreign Policy magazine had an article about the Gülen movement this week. The article says that Turkey vowed to uproot Gülen's widespread religious movement, known as Hizmet (Service). As a result, Turkey has shut down about 800 companies, 1,100 schools, 850 dorms, and 1,400 civic associations. Fethullah Gülen and his followers, however, were allies of Recep Tayyip Erdoğan and his justice and development party in earlier days. ★ Turkey's deteriorating relations with its Western allies and pivot toward an independent foreign policy are based on deeply held beliefs of President Recep Tayyip Erdoğan and are unlikely to change. The United States and NATO must, therefore, prepare for the worst in its dealings with Turkey, said Max Hoffman, associate director of National Security and International Policy at the Center for American Progress, in a report published on Thursday. ★ According to the Associated Press, President Recep Tayyip Erdoğan has been showing the video clips of Christchurch Mosque gunman in election rallies. New Zealand is trying to stop its use. Erdoğan after showing the video clips has said that the opposition "did not see the big picture" and threats against Turkey. Earlier in the week tensions between Turkey, and Australia and New Zealand increased due to Erdoğan's comments suggesting that Australians and New Zealanders with anti-Muslim views could return home in coffins as their grandfathers did. According to NPR, during World War I Ottoman troops fought soldiers from New Zealand and Australia in the Gallipoli campaign in what is now Northwestern Turkey. Mr. Erdoğan was referring to the dead from this war. The New Zealand and Australia forces within the British contingency were called Anzacs. There were 11,000 of them that lost their lives at Gallipoli. Australian president Scott Morrison said Erdoğan had demeaned the memory of the fallen. "They're offensive because they insult the memory of our ANZACs, and they violate the pledge that is etched in the stone at Gallipoli of the promise of Ataturk to the mothers of our ANZACs," Morrison said. The memorial at Gallipoli features a comment by modern Turkey's first leader, Mustafa Kemal Ataturk, a veteran of the battle. "Those heroes that shed their blood and lost their lives … you are now lying in the soil of a friendly country. Therefore rest in peace. There is no difference between the Johnnies and the Mehmets to us where they lie side by side in this country of ours. You, the mothers, who sent their sons from far away countries, wipe away your tears. Your sons are now lying in our bosom and are in peace. After having lost their lives on this land they have become our sons as well" Ataturk's comment say. In the meantime, Australia issued a warning for its citizens traveling to Turkey for the annual Anzac Day commemorations. In the past Australians and New Zealanders were joined with Turks both civilian and officials in the commemorations. ★ Austria's policy of expelling Muslim preachers who are financed by Turkey is not discriminatory, the country's top court has ruled in a dispute that is part of the divisions between Austria and Turkey, reports the online site qantara.de. The law bans foreign entities from funding Muslim organizations, such as the Turkish Islamic Union (ATIP), which has some 60 imams who work as Turkish public servants in Austria. ★ According to the Financial Times, Turkey's lira suffered its worst one-day fall on Friday since the country's crisis last year, amid a global retreat by investors from riskier assets. At the end of the day the currency was 5% lower against the U.S. dollar. Last year, the lira lost nearly 30% against the dollar as investors worried about the central bank's ability to curb inflation in the face of calls from President Recep Tayyip Erdoğan or lower borrowing costs. Last year's selloff was caused by tensions between Turkey and Washington over the incarceration of an American pastor in Turkey for months. Some attribute The new plunge in the value of the Turkish lira to Turkish president Erdoğan's reactions to President Trump's comments that Israeli-occupied Syrian Golan Heights should be annexed by Israel. ★ In related news, Bloomberg reports that Turkey's foreign-currency reserves are plunging -- but officials aren't saying why. The central bank's net international reserves fell $6.3 billion in the two weeks through March 15 to $28.5 billion, according to data published Thursday. That's the biggest drop since January 2014, when the regulator was forced into raising rates in an emergency meeting to prop up the lira. Bloomberg also reports that the Turkish market index slumped by the most since August, led by the nation's largest listed lenders. ★ Google has celebrated the 106 birthday of the Turkish master painter, cartoonist, author, film director Abidin Dino with a doodle. Abidin Dino was born in Istanbul in 1913 and passed away in Paris, France in 1993. Abidin's family loved art, and he started drawing and painting at a young age. In 1941, due to official displeasure, he was exiled with his elder brother to southeastern Anatolia. He lived there until 1945. In 1951 he left Turkey first for Rome and then settled in Paris in 1952. 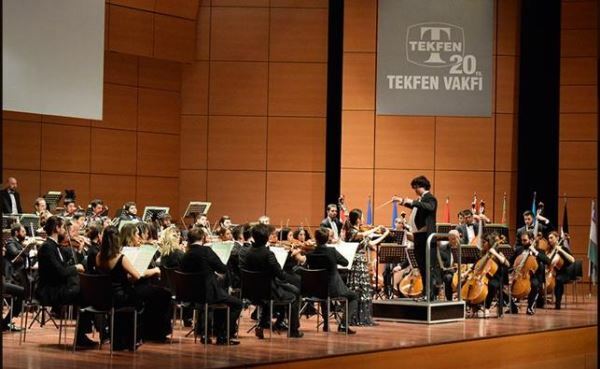 ★ Tekfen Philharmonic orchestra celebrated its 25th year and the spring with music. The orchestra under the direction of Uzbek conductor Aziz Shokhakimov had one concert in Turkey's capital Ankara and to concerts in Istanbul. The orchestra started its concerts with Turkish composer Ferit Tüzün's " Çeşmebaşı Suite", and perform Sergei Prokofiev's 5th Symphony. The soloist in the fee concerts was up and coming South Korean young violinist Bomsori Kim. 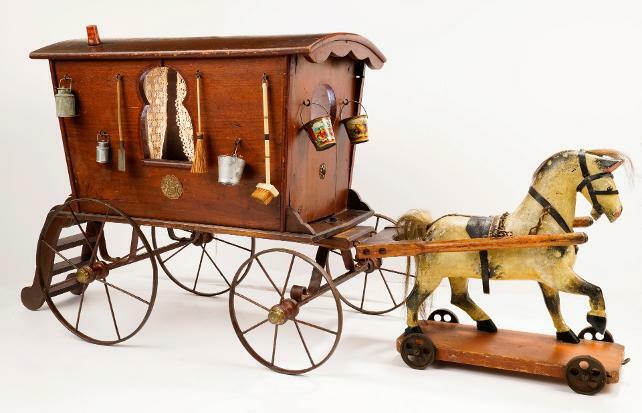 ★ A toy that belonged to the British Queen Victoria is now in Istanbul's Rahmi M. Koç Museum. Specially made for Victoria, the toy is a Gypsy wagon. The Museum has 14,000 objects, mostly featuring mechanical and industrial designs. ★ A concert titled "The Communication of the Souls: Proust and Music" will take place on March 27. The concert is organized jointly by Yapı Kredi Bank's Culture and Arts Foundation and private French high school Saint Benoit. The concert features violinist Pelin Halkacı Akın and pianist İris Şentürker, who will perform important works of Proust. Before the concert, there will be a lecture by Turkish author Nami Başer and Turkish music conductor Emre Aracı. ★ Matt Elliott had a concert in Istanbul on Friday Evening. Elliott is an English guitarist and singer, originally from Bristol, England and now based in France, who plays dark folk music. He also produced and recorded electronic music under the name The Third Eye Foundation. Elliott shared the stage with French experimental string trio Vacarme. ★ IFSAK, Istanbul Amateur Photography and Cinema Society, is having an exhibition titled "About the City". The exhibition features the 66 black-and-white impromptu photographs of 22 artists. The exhibition will be on until April 5 at the IFSAK Exhibition hall. ★ Terakki Foundation Schools lead a group of Istanbul high schools in organizing a festival of poetry on Monday, March 18. ★ Renowned Turkish violinist Cihat Aşkın, accompanied by pianist Özgür Ünaldı, three previous gave a concert featuring music from 20th-century Turkish composers at Turkish Radio and Television Istanbul studios. Osman Zeki Üngör, Leyla Saz, Hacı Emin Bey, Caliph Abdülmecid Efendi, Cemal Reşit Rey and Ulvi Cemal Erkin. The musicians also performed a composition of Mesut Cemil Tel that was just discovered. ★ Award-winning films from around the world are being shown in Istanbul's Yapı Kredi Bomontia in cooperation with the "Other Film" organization. Lynne Ramsay's "You Were Never Really Here" a 2017 Cannes Film Festival winner in best scenario and best male actor categories. ★ The Nurnberg Turkish - German Film Festival just ended. Omur Atay's "Siblings" film won the best film award. The best male actor went to Carlo Ljubek in "Kill Me Today, Tomorrow I'm Sick"
The best female actor went to Gizem Erman Soysal in "The Ones inside"
The spectator's award went to Yılmaz Arslan's "Sand Star"
3rd place Daniel Popat's "From Near". ★ Renowned French photographer Bruno Barbey's "My Morocco" exhibition is on at Istanbul's Leica Gallery. The exhibition opened on March 10 with the participation of Barbey. It will be on until May 25. Barbey was born in Morocco to French parents and lived there until he was 12. During the 1960s he was commissioned to photograph European and African countries by Editions Rencontre in Lausanne. In 1964 Barbey began a relationship with Magnum Photos, becoming an Associate member in 1966, and a full member in 1968, at which time he was photographing student riots in Paris. He eventually served as Magnum vice president for Europe in 1978 and 1979 and from 1992-1995 as President of Magnum International. He spent 1979 to 1981 photographing Poland, resulting in his book Poland. He rejects the label of 'war photographer', although he has covered civil wars in Nigeria, Vietnam, the Middle East, Cambodia, Northern Ireland, Iraq, Kuwait and liberation war in Bangladesh. From 2005 Barbey has, among other work, been pursuing a project on Istanbul. ★ The premiere league games were off due to national team matches. ★ In the Sunshine Tour that took place in Spain Turkey's national rider Derin Demirsoy won one more competition, the Grand Tour D. Earlier, he also won the Grand Tour C.
★ The Special Olympics World Summer Games are taking place in Abu Dhabi. Turkey's Mixed Soccer Team won a bronze medal in the games. ★ Women's CEV volleyball championships in the quarterfinals Turkey's Eczacıbaşı VitrA beat Italy's Imoco Volley 3-0. In the next game that was played in Istanbul Eczacıbaşı VitrA lost against its rival 3 to 1. The two teams had one more game to break the tie. Eczacıbaşı VitrA lost again, and bid farewell to the competitions.